Each year, thousands of entrepreneurs take all the right steps to growing their business and doing everything they can to succeed. It is both exciting and overwhelming. The biggest issue for most owners is getting the word out about their business. One way these business owners can get attention is to write articles. Article writing is a method that many of the most successful businesses are using to drive more traffic and generate more sales. The fact is that this is a strategy that works, if it is done correctly. Article Writing is method of writing and publishing articles for the target market. Many businesses often have their own blog or website and use their articles to keep their customers and prospects informed as well as growing their site in search engine rankings. This process may be considered time consuming, but it is a well-known method for attracting new customers and establishing yourself as an expert in your industry. The articles you publish may just be the edge that your business needs to push ahead of your competition. What are the benefits of adding an article writing strategy to your plan? Most businesses who start using article writing as part of their marketing strategy will find it changes the entire future of their business. The following are just a couple of the benefits you are going to notice when you execute this strategy. While article writing can be a great way to give your business a boost, there are several factors that you need to consider when writing articles for marketing a business. Content: The content you write must be relevant to both your business and your target market. It also needs to be interesting or entertaining for the reader. A number of businesses that find success with this marketing strategy often attribute it to the fact that they keep their target market in mind when choosing the subject of their articles. If you choose to write only promotional-type articles, you will lose the reader. Instead, engage your readers by giving them tips and advice, as well offering reviews on the products they might be interested in. It is also vital that each article you publish use target keywords specific to your own business. For example, if your business is selling educational books for children online, you will want to include keywords like “buy educational books” or “educational reading material for children” in your articles. Keyword density is extremely important, as using too many keywords in one article can actually hurt your SEO (search engine optimization) results; using too few will also give you poor results. 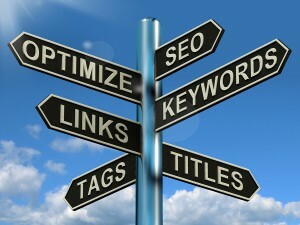 The optimal amount would be to keep your keyword density to an average between 2 and 4 percent. The articles you publish online are going to be a reflection of your business. Each article must be taken seriously, which means checking them for errors in grammar and spelling. If you are not careful and publish articles with numerous errors, your readers are going to deem you as unprofessional. The most common error in article marketing is lack of consistency. For the best results, it is important that you write and publish articles regularly to post on your blog or your website. Most people fail at this because the process is time-consuming. However, if you can actually set a goal of writing and publishing between two and five articles a day, you will get good results. For business owners that simply lack the necessary time for article writing and publishing, there are many different writing services available. These companies that offer this service will provide you with keyword rich articles. Many will even provide you with the articles within 24 hours of ordering. Before you choose to go with a writing service, be sure to get writing samples, a quote for the number of articles you need, and a guarantee that they will be delivered to you within the time period you request. Many of the websites that offer writing services, such as GigBucks.com, will offer them at a very affordable cost. Along with writing services, many of these companies will offer a submission service, as well. As each article directory will have its own set of criteria and publishing guidelines, the process can be somewhat confusing for newcomers. If you choose to hire a company for this service as well, it is important that you make sure they are going to publish them in the directories that are most compatible with the type of business you own. As you can see from the information provide above, article writing is a process that is going to take time, and it must be done right. A business owner could publish twenty articles a day, but if the articles are poorly written and are not considered useful to the reader, the efforts will be wasted. By keeping all of this information in mind when you start your new marketing strategy, you will get to enjoy all of the benefits that come from publishing your own articles online. This entry was posted in Uncategorized on August 8, 2012 by jody. One of the most important parts of running a website is to ensure that the site is receiving a large number of visitors. Since the majority of traffic comes from search engines, most webmasters focus on search engine optimization (SEO) to drive traffic to their web pages. In addition to creating keyword content, webmasters also need to have a large number of websites that link back to them to increase their search engine ranking. To improve search engine rankings, many webmasters began using link farms to increase the number of backlinks to their site. However, after a recent Google update, the search engine is now demoting websites if they have too many low quality backlinks, which includes link farms. Since link farms and low quality backlinks are no longer an option, social bookmarks are quickly replacing link farms as the high volume backlink option of choice for many people. There are a number of reasons that social bookmarks are succeeding now that link farms are no longer viable. They offer targeted traffic, increase the speed and frequency of indexing of websites and they also are a pre-approved source of backlinks. This solution also has the advantage of being simple and inexpensive; there are services that offer high volume and low cost social bookmark submission services to webmasters. There are a number of highly popular social bookmarking sites on the Internet. Some of the most well-known websites are Digg.com, Stumbleupon.com and Delicious.com. These websites allow people to store, organize and share their favorite web pages and bookmarks with other people on the Internet. Bookmarks on these sites are sorted by category and keywords, and there are currently hundreds of social bookmark sites on the Internet. What Are The Advantages to Using Social Bookmark Sites? As mentioned, one of the biggest draws that social bookmarking sites have to webmasters is the fact that they represent high volume, high quality backlinking opportunities. In addition to taking away the usefulness of link farms with their recent updates, Google also stated that they would begin looking at the quality of the sites that backlinks originate from. This makes developing a large number of backlinks even more challenging. However, social media sites are already considered high quality sites, meaning that webmasters can use them for backlinking purposes without fear of ranking demotion. 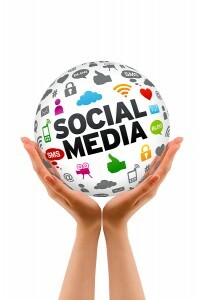 Websites that are linked on social media sites can also benefit from Google’s new emphasis on social media. The search engine has begun counting positive social media feedback and activity towards a website’s search engine rankings. This means that websites that are linked on social bookmarking sites increase their ranking through both social networking participation and through high quality backlinks. Another reason that social bookmarks are beneficial to websites is because being on them increases the speed and frequency that those websites are indexed. Web pages that have a large number of links and online activity are crawled by search engines more often than others. This is extremely helpful for new websites, and established web pages can benefit from the quick addition of new content to search engines. Further, Google also is now focused on promoting websites that offer fresh content, meaning that if a website is updated and indexed on a regular basis, its search engine ranking should rise quickly. Since social bookmark sites also sort websites by category and keywords, websites that are listed can increase the amount of targeted traffic they receive. Visitors to social bookmarking pages have the ability to search for keywords and topics that interest them, meaning that websites on these sites can benefit from an increase in targeted traffic. While the volume of traffic that comes directly from these sites will be lower than what is received through search engines, even small amounts of traffic can add up. While the Internet offers hundreds of social bookmarking websites that webmasters can use to share their sites on, going through the process of registering and sharing links with each one is an enormous task. However, there are a number of web pages that offer low cost services that can add a website’s information and sort it accordingly. For example, Gigbucks.com offers webmasters high volume link submission services for five dollars, and the majority of the members of the website promise a turn around time of a week or less. A large number of webmasters are struggling to regain their search engine ranking after the recent Google updates that devalued backlinks from link farms. However, by using social bookmarking sites, webmasters can easily and quickly develop a large number of high quality backlinks while also boosting their social media standing. These websites represent a low cost way of increasing search engine rankings while driving targeted traffic to a website. This entry was posted in Uncategorized on July 28, 2012 by jody. 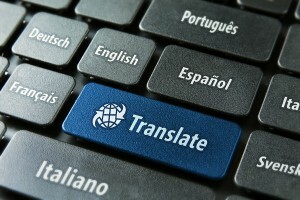 Translating Your Website: Why Do It? The Internet is an incredibly powerful and popular invention; millions of people use the online world to tackle various tasks no matter what the time of day. Whether a person wishes to shop, do research or talk with friends, there is a website to fit that need. Many website owners are learning that several steps must be taken in order to stand out; one option involves translating a website into another language. Maybe you receive visitors from around the world; however, if a visitor does not understand what is on the website, he or she may move on to something else. When you choose to make your site available in at least two languages, you ensure that you are inviting new people to enjoy the content. People can learn something fresh; they do not have to feel frustrated or angry because they do not understand something. Pay attention to your audience; if you are aware of the countries of origin for your visitors, you can determine the languages that are appropriate. There are countless websites on the Internet; a person that looks for a specific subject can usually find something. As a result of this, it is difficult for an individual website to stand out. However, you can create an advantage. When you translate your website, you take a step that other websites do not. It is not terribly common for websites to think beyond one language; this makes it hard to communicate. You can advertise the fact that your website is available in multiple languages; it will not be a lie to garner attention. When a potential customer is unable to decipher the words on your website, he or she will move on; this is bad for a website that sells products or services. You cannot hope to make a sale if people have to struggle with the language on the site. You should provide the option to view the website in another language. A person on the other side of the world can learn how to place an order with ease. In fact, people may place several orders. 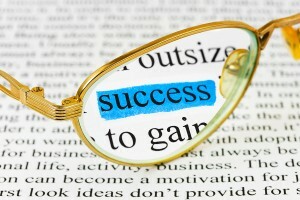 This can increase your revenue and help you gain success. How would you feel if you came across a website that was unreadable for you? Think about your website through the eyes of a customer. A customer feels comfortable with a business if he or she can understand the language. The customer will check out the entire website. He or she can locate contact information and understand the products that are available for purchase. Customers are also more likely to contact you and ask questions. You can connect with these individuals and help them understand why you are trustworthy. You can bring humanity to the selling process. People appreciate a website that tries to be accommodating. Some people believe that it is annoying when a website only opens itself to one country. If you manage to meet their needs, visitors will reward you in the long run. They will tell friends and family members about your website; you may also receive positive emails or phone calls. You will appear to be serious about what you do; you are not a person that wants to have fun and move on to something else within months of creating a website. You are willing to make an investment and ensure that the future is bright. It is possible to hire a translation service; however, such an avenue is not always cheap. If you are on a budget, it is necessary to use caution with expenses. Some website owners choose to use websites that allow you to place text in a box and have it loosely translated; this method usually results in a translation that makes little sense. Consider using a website like gigbucks.com. You may save money by hiring a translator that freelances his or her abilities. A freelance translator may also assist you in avoiding cultural mistakes. You will not offend somebody. Though the Internet is a recent invention, many people are unable to picture the world without it. People use the Internet for various needs; as a result, thousands of websites come into existence on a daily basis. Standing out and succeeding can be bothersome. If you want your website to garner attention, consider a translation of the language on your site. You will open a door into a new, potential audience. You will also show the world that you are serious about what you want to do. If you are unsure about what to do, ask a person that you trust for help. This entry was posted in Uncategorized on July 20, 2012 by jody. A logo is an important element in any business. It serves as a symbol or an icon that represents what the company does. Logos may seem to be just a simple visual tool used by a company, but they can actually do a lot. Logos promote awareness of the company’s existence and attract potential customers. Therefore, logos should be unique and stand out from the rest. Company names may be difficult for customers to remember, but logos are not. Logos can express everything about a company without having to read lengthy product features and company profiles. The human brain finds it easier to store visual images than anything else. There are basically three components of a logo. They should represent a clear and recognizable symbol of the company. Customers should see what the company is and what it does with just a quick look. Wordmarks are simply just the name of the company. Nike, Coke and KFC are all wordmarks. Icons or avatars are actual symbols of the company. They have high visual appeal that leaves a long-lasting impression. The logo consists of ony letters or words. These types of logos do not use any symbols or pictures. Ebay and Google use this type of logo. Figurative logos can have a combination of an icon and wordmark. The icon represents something that is not abstract like Shell and Apple’s company logos. Abstract logos are a combination of a pictogram and a tagline. These are visual interpretations of the subject. Combined logos use different types of logos together. The company logo should not appear as if it has been used elsewhere. The logo should not have symbols or taglines that are similar to those used by other companies. Customers should not have the impression that they have seen the logo before. Unique logos are easy to remember and leave no room for confusion. Companies should come up with a logo that is compatible enough to be used in different media. The logos should not only be suitable for the primary products. They should also be appropriate to be used in company brochures, stationery, shipping boxes, websites, labels, advertisements and promotional items. Companies need to show off their logos in different sizes. With this, they should bear in mind that logos should be reproduced in varying sizes without compromising their impact. The most common problem with logos is that they may look great in one particular size but may be less appealing in another. The solution to this is to make the logo as simple as possible. Complex logo designs have a lot of details that are not effective in smaller sizes. Logos used by big companies like Apple, Shell and Nike look great in any size. This feature makes these companies more memorable for customers. Adding a lot of special effects to the logo may appear artistic, but it does not make a logo effective. Logos don’t need fancy effects and other unnecessary marks. This additional artwork may make the logos less memorable. The test of a truly effective logo is when customers recall the company with just a quick glance. Otherwise, the logo fails its purpose. Logos with needless special effects make reproduction across different media more difficult. Logos should not require constant updating. The logo should not contain too many new elements in order for it to fit in any period of time. One good example is Coca-Cola’s logo. Since its inception, the logo has stayed the same with only a few tweaks to the font style. Logos that fail to meet this standard cannot last long. • Logos should be kept simple and easy to remember. • Conduct research regarding competitors. Doing so will provide information about what works best. • The most significant word or element should stand out in the logo itself. • All colors used should complement each other. Otherwise, they will clash and appear cluttered. • All logo elements should appear at all times. • Logos should remain effective regardless of the size. • Logos should possess personality. • Logos should represent the company’s primary products and services. • Logos should serve as a message from the company to the customers. • Never use clip arts. • No copying from other logos. • Logos should not be decorative and too fancy. • Avoid using all caps for the taglines. • Avoid making constant changes to the logo. • Do not change different font styles. • Avoid using too many special effects like shadows or stretching. • Do not use contrasting colors. • Never use photographs as logos. • Logos should appear in the company website’s header or footer. • They may also be placed on clients’ websites. • Company letterheads, envelopes and invoices should never fail to have the logo. Getting the help of professional logo makers is always the smartest way to get the right one. There are many companies offering these services. They can create unique logos and evaluate their effectiveness. However, this can be very costly for a starting business. There are also sites like www.gigbucks.com where small business owners can find professional freelance logo makers at affordable prices. This entry was posted in Uncategorized on July 13, 2012 by jody.